Blemishes can be a pain to conceal without making the area stand out more or looking overly cakey. We have compiled the best tips on how to seamlessly PROTECT & CONCEAL blemishes – along with some non-toxic product recommendations. Cleanse, tone, & moisturize your face as you normally would before applying makeup. If you tried to pop the blemish the night before, dab a little heavy moisturizing balm or cream onto the spot for about 15 minutes to soften any cracked or crusty skin. Some great choices for heavier balms in the green space are pictured below. They are also wonderful products to use at night to keep the face hydrated. Skip this if you either JUST popped the blemish, or if you have not touched it at all & it is not cracking. Next, dot the blemish with a bit of alcohol, OR, apply a clear blemish solution with antibacterial properties to keep bacteria at bay. Let it dry. Cover and protect the blemish from sweat, oil, & makeup and create a smooth canvas for your concealer. A great way to do both at the same time is to apply an antiseptic liquid bandage over the blemish. Alternatively, you can also create a smooth surface over the blemish with a face or eye makeup primer. This step is optional, but it will definitely help when you apply makeup over it. If your blemish is very red and you are concerned that concealer alone will not be enough, a color corrector can be a great step. This is optional, but you have a few choices for color correction depending on your needs. You can apply a light layer of green corrector to the blemish before your foundation & concealer. Green is the opposite of red on the color wheel, and therefore it will neutralize red. 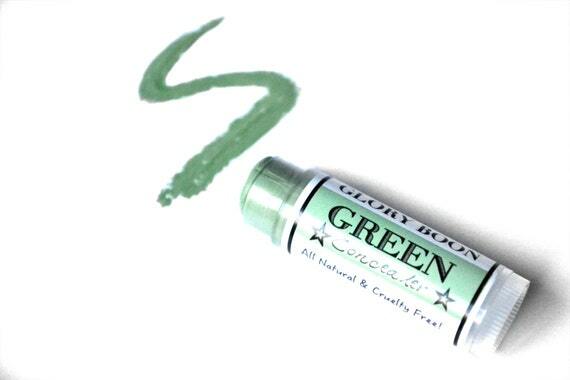 Alternatively to green, you can apply a light layer of orange-ish corrector on and slightly around the blemish. If your regular concealer is a bit lighter than your skin tone, the concealer will only highlight the spot as opposed to hiding it. Applying orange color corrector first will warm up the skin tone so that when you apply your lighter concealer (in 2 steps), it will blend in more with the rest of your face. Orange or salmon concealers are helpful in canceling out under eye circles, bruises, & scars as well, so they are good products to have on hand. Apply foundation or tinted face product AFTER color corrector (if you chose to use one) but BEFORE your concealer. This will cover up the blemish a bit, while also color matching it to the rest of your skin. You might even need less concealer than you originally thought after applying foundation. If you are looking for a matte & full coverage foundation to help cover blemishes & imperfections, NU Foundation is one of the best in green beauty. Apply concealer after your foundation if it is still needed. For most blemishes, use a camouflage or tacky/ drier concealer as opposed to a creamy concealer because they adhere well to blemishes and will not melt off the skin during the day. Natural concealers tend to be a little on the oily side. A dry concealer that works well & stays put on blemishes is the Alima Pure Cream Concealer, pictured below. However, if your blemish is peeling or extremely dry, you should use a creamy concealer to provide hydration and prevent further flakiness. Make sure to set it, especially when using a creamy concealer. A great creamy and full coverage concealer is the Hynt Beauty concealer, pictured below. SET, SET, SET! After ensuring the blemish is covered and concealed, the most important step is to set with powder. The powder will do two things, de-shine the area, and prevent the concealer from budging throughout the day. Use a compact setting powder that is your skin tone exactly or a little warmer. Just do not go lighter. The application is important. DO NOT sweep powder onto the area with a makeup brush – you will move the concealer. Instead, blot the powder gently onto the blemish using the side of a makeup brush, a powder puff, or beauty blender. A beauty blender will provide lighter coverage and a more skin-like finish. You can use a damp one to apply everything – corrector, foundation, concealer & powder. Damp Beauty Blenders absorb a lot of product, so this is a good way to go if you tend to have a heavy hand and feel cakey after concealing blemishes or after applying makeup in general. However, it is not as precise of a method, therefore you might still need to go in with a brush towards the end of your concealer application if you need a bit more coverage. Concealer Brushes tend to be the most universal way to apply color corrector & concealer as precisely as possible. The key to using concealer brushes is to blot the brush in every direction over the blemish to cover all nooks and crannies. You can also tap concealer into the skin with your (clean) finger to warm up the product on the skin. Start with less & apply layers as needed. Two great brushes are pictured below.